Hawaiian Airlines is offering a cheap fare of $397 for round trip to Hawaii from Portland. You have until November 7th to book your tickets, so if you are planning to do some winter traveling to Hawaii to escape this miserable Northwest weather, this is YOUR chance to do it. It’s a good price for travel before Christmas. This is one of the last airlines to offer food service in coach, and the service is really nice. You can find all the details and other booking options here in this LINK. 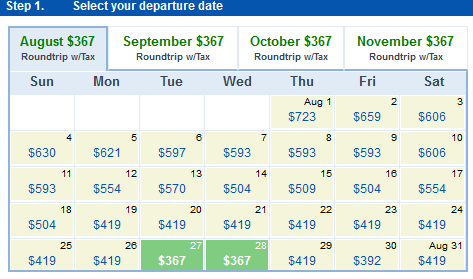 I received an email from TravelZoo about a fare alert to Honolulu from Portland for $367. This is pretty darn cheap for a non stop flight on Hawaiian Airlines, and the dates are selective. Of course there are other airlines you can select also, offering prices in that range. You can click on the tabs for the other months so you can select a return date for the lowest price. The calendar is pretty widespread in terms of that low price, so if you are looking to book a Hawaiian trip to HNL, this could be a sweet deal! 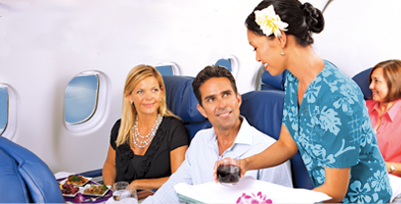 I believe you can credit your miles to other partner airlines, if you are not crediting to Hawaiian Airlines frequent flyer program. The list of their partners can be found here.